Comerica Center is a multi-purpose sports and entertainment venue located in Frisco, TX at the corner of the Dallas North Tollway and Gaylord Parkway. 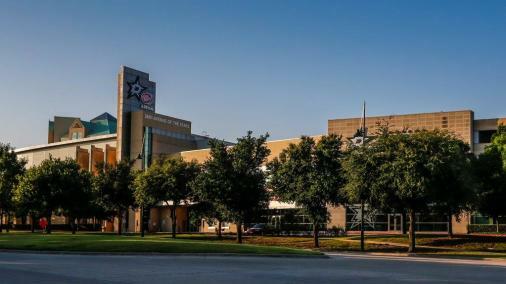 It is the home practice facility and Executive Offices for the NHL Dallas Stars as well as the home of the Texas Legends basketball team, the NBA G League affiliate of the Dallas Mavericks. Dallas Stars practices are open to the public. In addition to hockey and basketball, Comerica Center hosts concerts, family shows, graduation ceremonies, corporate events and many other forms of live entertainment. The venue seats up to 6,000 people and has two 1,000-space parking garages on-site. Previously named Dr Pepper Arena. Space Notes Club Lounge: accommodate up to 120 banquet. Catering available.